Description: Crafted by Master Mask-tician Blake Don, this intimidating helm will banish nightmares AND opponents! 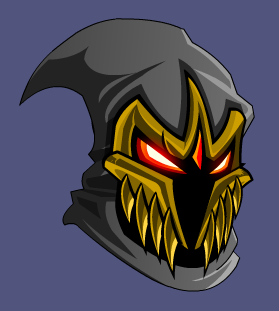 Note: Also see Silver Banisher Mask. Thanks to Flitterifie and Haileym1.